PG Dating Pro team gladly announce the new release of the award-winning dating site builder. The new version is called Flirt (2015.6). 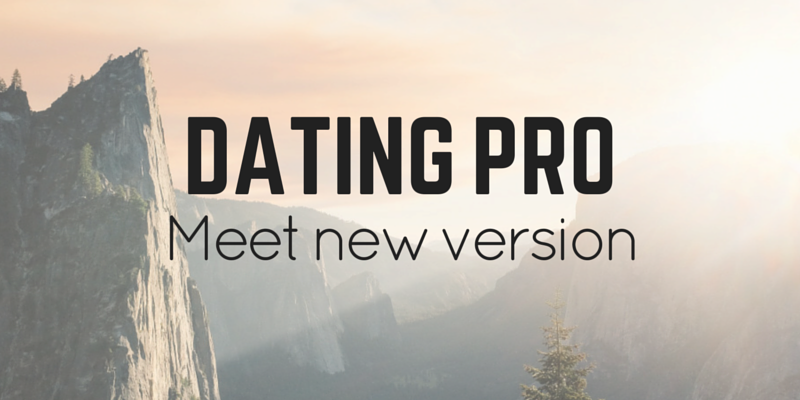 Dating Pro Flirt offers 5 new add-ons, 2 new design options, and numerous improvements. LikeMe is a Tinder-like feature that lets people rate each other by liking/skipping photos and see if there is a match. Memberships add-on makes it possible to combine the site services into memberships with their own names, prices and activity periods. Associations is a funny add-on that lets people break the ice and start the actual conversation after comparing each other to animals or plants or whatever. Site admin gets to upload the photos for comparison prompts. Incomplete signup add-on is a useful feature that collects info about people who tried to sign up on your dating site and failed. You can use this info to get in contact with these people and see if they need help signing up. Nearest users adds an interactive map with a circular search pattern that the site members can drag and resize. What else does the new version bring us? -It is possible to view a site member’s location on a map from their profile. -A new colour scheme is called Persimmon Red and comes with all license packages. -There is a video background theme that you can use as a framework for your own video background. -HTML5 video upload is supported. -Pre-sets let you change the elements position on the main page at a click of a button. -With SMSCoin packages, you can create offers from different tariff providers. -Site members can now like and report photos and videos in the mobile version and the mobile apps. -There is a convenient way to switch from mobile version to the desktop site version. -If you have mobile apps of your site in Google Play and App Store, indicate direct links to the apps in the admin panel and everyone who visits the mobile version of your site in a mobile browser will be offered to download and install an app from the corresponding store. Sounds complicated, but it really is convenient. Let us know what you think! The demo site will be updated very soon so you can take a look at the new version, and right now you can request a free trial or a free download from our site datingpro.com.